This video series describes the assessment tools and therapeutic approaches that the presenters have found most useful in working with complex PTSD in children. The clinicians role in such cases often includes working with parents or guardians as well as children with complex PTSD, and can extend far beyond the therapy room to encompass psychoeducation and advocacy. Released 2001. Joyanna Silberg, PhD coordinates Trauma Disorder Services for children at Sheppard Pratt Health System in Baltimore. She is president of the International Society for the Study of Dissociation. Frances Waters, MSW, LMFT, in private practice in Marquette, MI, has specialized in the field of child abuse for 25 years. She works as an educator, trainer, consultant and clinician in the area of childhood trauma and dissociation. Alexandra Cook, PhD is Director of Childrens Services for The Trauma Center. She is also co-author of With the Phoenix Rising: Lessons from Ten Resilient Women who Overcame the Trauma of Childhood Sexual Abuse. Jean Bellows, PsyD is co-founder of Trauma Recovery Associates, a private practice in Boston, and is a supervisor at The Trauma Center, where she teaches a course on complex trauma in children. 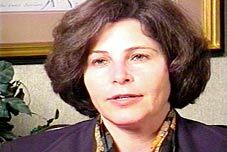 Diane Englund, LICSW is a clinical social worker in private practice in Brighton, MA, specializing in the assessment and treatment of traumatized children and their families. She is also a supervisor for the child team at The Trauma Center. The 72-page trainer’s guide includes objectives, reproducible outlines for note-taking, review and discussion questions, a resource list, a book chapter, and guidelines for evaluation and treatment, described below. The book chapter is "Parents as Partners in the Treatment of Dissociative Children", by Frances Waters, a chapter in J. Silberg (Ed. ), The dissociative child: diagnosis, treatment, management, 2nd Edition, The Sidran Press, 1998. It discusses the challenges of the dissociative child, therapeutic strategies for parents, and child management guidelines. The guidelines are "Guidelines for the Evaluation and Treatment of Dissociative Symptoms in Children and Adolescents", from Journal of Trauma and Dissociation, Vol. (3) 2000, The Haworth Press, which was produced by the Task Force on Children and Adolescents of the International Society for the Study of Dissociation, July, 2000. Subjects include qualifications of child and adolescent practitioners, theoretical basis, trauma assessment, symptom assessment, length and course of treatment, role of the therapist, special cautions, therapeutic goals, and adjunctive treatments.